So who doesn’t want to see Arnold Palmer wearing a Quagmire Golf ColorFusion Shirt Wednesday at Bay Hill when it’s officially announced that Quagmire will be signing on for 5 years to re-design and reinvigorate the Arnold Palmer line of apparel. When I first read it last week at Golf.com I thought it’s about time. The line seemed to be very stagnate. Geared towards those that only shop at Sears. 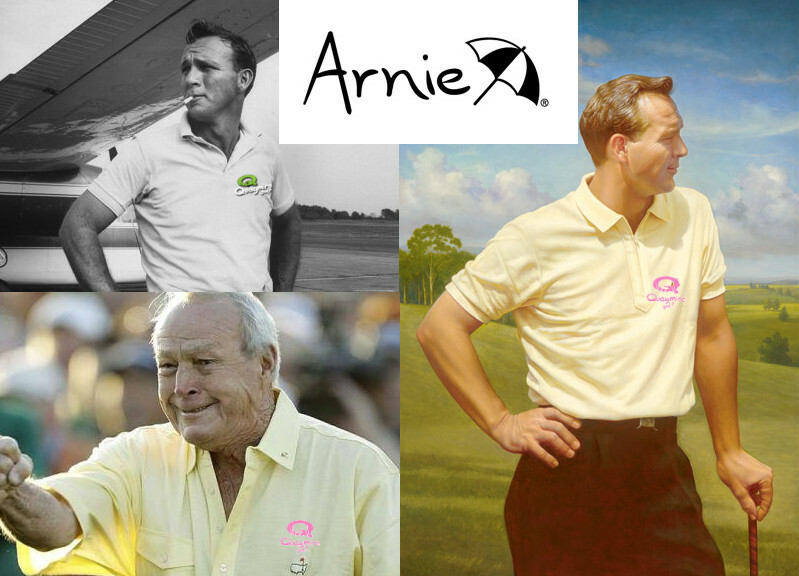 Arnold Palmer has always been an icon for style this new line should reflect that. Nice going Quagmire Golf another Canadian company doing well in the highly competitive golf apparel market. The Khaki Crusader has a great interview of Geoff Tait – the co-founder and lead designer for Quagmire Golf be sure and check it out.